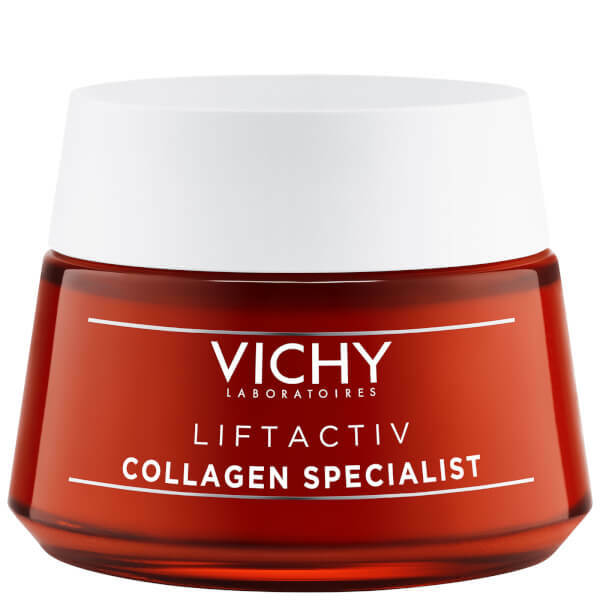 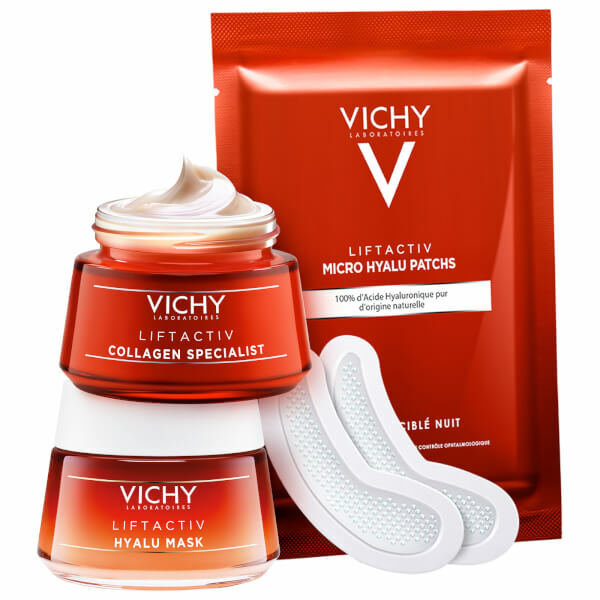 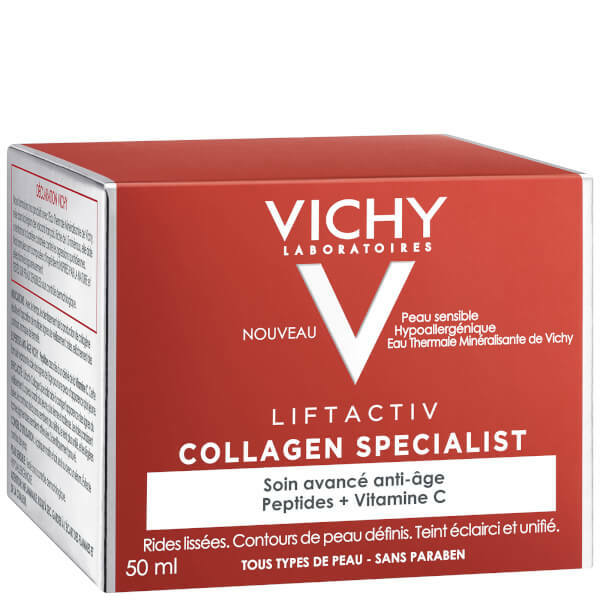 Tackle signs of ageing with Vichy Liftactiv Collagen Specialist Day Cream, an innovative moisturiser inspired by the new generation of aesthetic procedures that help improve collagen production; a natural protein fibre that decreases with age and leads to signs of ageing. 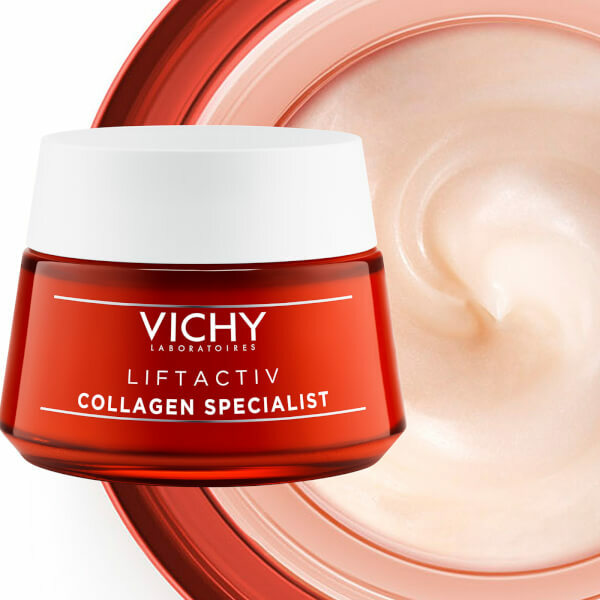 Anti-ageing and energising, the soft, velvety day cream targets signs of ageing linked to collagen loss, including wrinkles, fine lines and sagging contours. 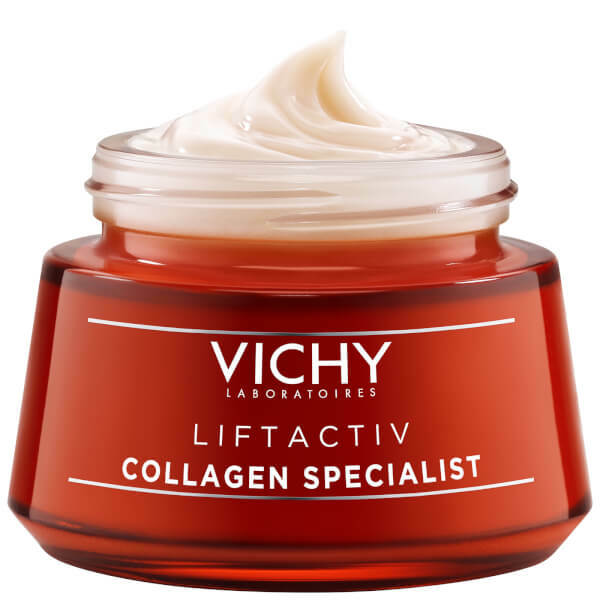 Formulated with Vitamin CG and collagen-protecting biopeptides, it melts into skin, promoting collagen production to help lift the appearance of wrinkles, redefine facial contours and even out the look of skin tone. 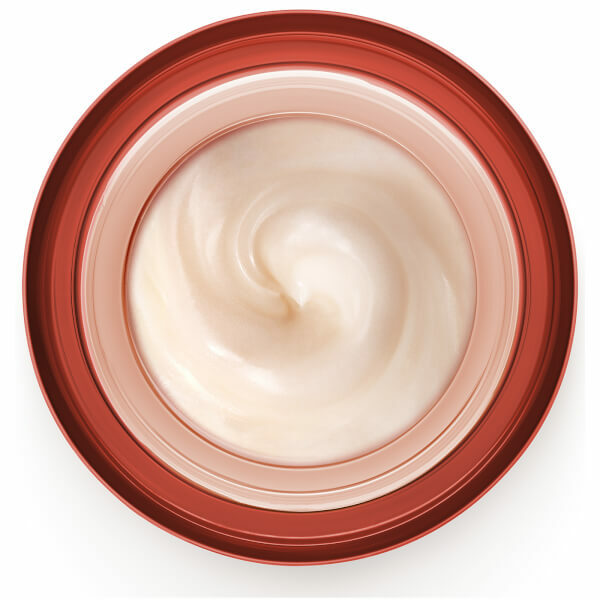 After use, skin looks supple, youthful and instantly smoother. 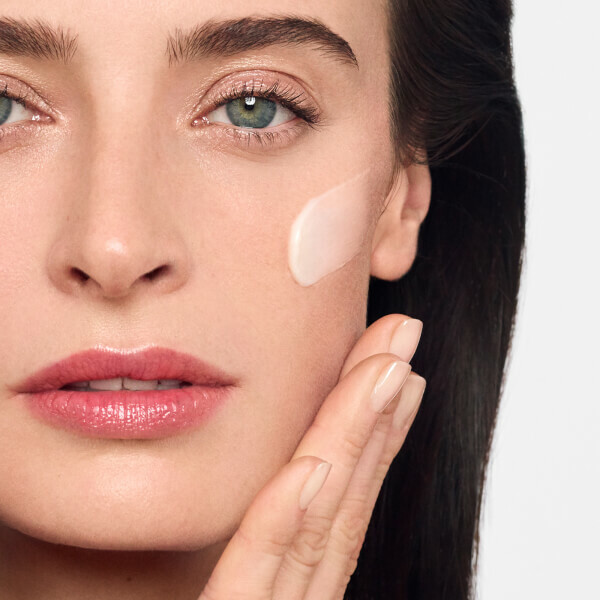 Apply every morning and/or night to clean dry skin. 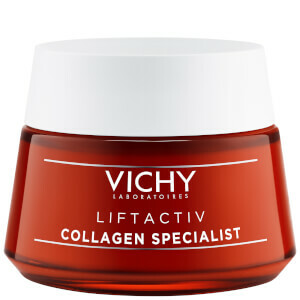 Aqua/Water/Eau, Glycerin, Dimethicone, Isohexadecane, Alcohol Denat, Silica, Hydroxyethylpiperazine Ethane Sulfonic Acid, Propanediol, Synthetic Wax, Peg-10 Dimethicone, Eperua Falcate Bark Extract, Peg-30 Dipolyhydroxystearate, Stearyl Alcohol, Sorbitan Oleate, Dimethicone/Peg-10/15 Crosspolymer, Dimethicone/Polyglycerin-3 Crosspolymer, Ceteareth-6, Sodium Acrylates Copolymer, Sodium Citrate, Sodium Hydroxide, Sodium Phytate, Cyclodextrin, Adenosine, Ascorbyl Glucoside, Nylon-12, Isopropyl Alcohol, Propylene Carbonate, Dipropylene Glycol, Caprylic/Capric Triglyceride, Caprylyl Glycol, Acetyl Tetrapeptide-9, Synthetic Fluorphlogopite, Disteardimonium Hectorite, Dextrin, Pisum Sativum Extract/Pea Extract, Tocopherol, Phenoxyethanol, CI15985/Yellow 6, CI77891/Titanium Dioxide, Parfum/Fragrance.